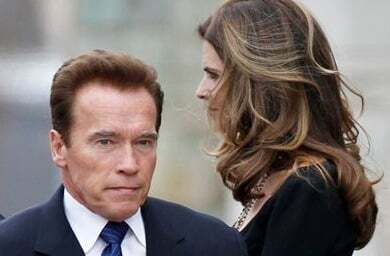 SACRAMENTO, Calif. — Arnold Schwarzenegger says his lifelong penchant for secrecy and ability to put his emotions “on deep freeze” led him to keep many secrets from his wife Maria Shriver, eventually causing the dissolution of their marriage when he was forced to admit he fathered a child with the family’s housekeeper years earlier. In his new autobiography, “Total Recall: My Unbelievably True Life Story,” and in an interview airing Sunday on “60 Minutes,” the former California governor acknowledges that his inability to be honest with people has hurt those closest to him. “So I became an expert in living in denial,” says the Hollywood action star and former governor. Shriver opposed the idea, but was persuaded to soften her stance by her mother, Eunice Shriver, who told her to support her husband’s ambitions, or he might resent her for the rest of his life. Despite that struggle, he also didn’t inform her when he decided to seek a second term, writing that she had to read about it in the newspaper. “Total Recall” will officially be published Monday. The Associated Press purchased an early copy. He tells Stahl he never even had a conversation with the housekeeper, Mildred Baena, about the son. Instead, after he began noticing the boy’s strong resemblance to him, around age 8, he just began giving Baena extra money. “I kind of put it away and just said to myself, ‘OK, I’m going to put this away. I’m going to fulfill my responsibilities,'” he tells Stahl. He declined to say whether he has a relationship with the child, who is now about 15, and he said he didn’t want to go into any more details about his relationship with Baena because he’s already caused Shriver and their four children enough pain. “I don’t want to reawaken and kind of talk about it because it’s not going to help them. And I just want to protect them as much as I can,” he says.